This entry was posted in crime, Culture War, Global Warming / Climate Change, Liberals/Democrats/Left, Taxes and tagged carbon tax, Elysee Palace, Emmnauel Macron, France, French Police, Jean-Luc Melenchon, Marine Le Pen, Paris, Paris protests, Paris riots, Twitter, wealth tax, yellow jacket protestors. Bookmark the permalink. 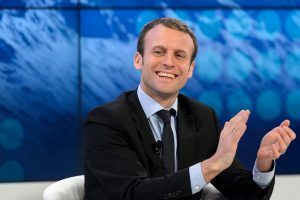 Emmanuel Jean-Michel Frédéric “Marie Antoinette” Macron, RIP. As always “they” go awol concocting new strategies, the people revolting and the Champs-Élysées ruined, no tourism, no money and the New World Order celebrates. As the gas tax hike has been taken off the table and the wealth tax might be reintroduced, these prove that the protests are about so much more than just those, including the government’s neoliberal and globalist policies, though the mainstream media want you to believe otherwise. The neoliberal- and globalist-controlled MSM are also branding the yellow vesters selfish and lazy. As Tacitus said, it is the tendency of men to despise those whom they have wronged. Like every other liberial progressive inititive they have to sneak it in because it is so wrong headed that nobody will go for it. They don’t seem to realize no mattter how you package the fertilizer it is still nothing but manure. No matter what they do. No matter how much pain they inflic. They can never ultimitally succeed. They will destroy themselves as has been demonstrated throughout history. Good will prevail to those that hold out faith. It’s long overdue for the cultural Marxist puppet politicians and their billionaire puppetmasters to be hung, or electrocuted. These riots portend the end of the European Union. This time it was an egg……..next time it may be a bullet.